“Where pizza,” goes the motto, “is a piece of history.” Fair enough. 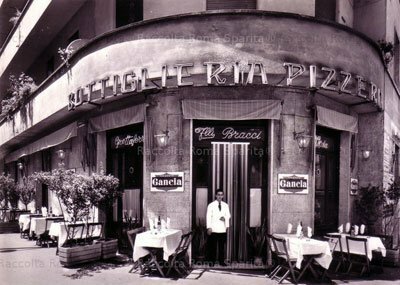 Brandi, just off Via Chiaia, was founded in 1780 and credits its early ownership with the creation of the pizza Margherita. The pie was made for Queen Margherita (Maria Teresa Giovanna di Savoia, wife of Umberto I) on a visit to Naples in 1889. 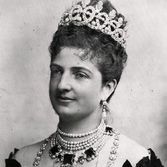 On subsequent trips the Savoy monarch would phone ahead (not quite) and ask the owners to have the ingredients brought by cart and donkey to her home away-from-Rome, Palace of Capodimonte. If you’re wondering about the history of the Italian tricolore flag look no further than the piazza, red tomatoes, green basil and white cheese. And yes, it tastes good. Overall, Brandi is an above-average eatery with most every Neapolitan specialty. For something different, try salsicce al forno, baked sausages.